California lemon law frequently asked questions and answers. California lemon law frequently asked questions. What kinds of defects or problems must my vehicle have to qualify for California lemon law protection, and what are examples of “non-substantial” defects? Our California lemon law is looking for defects (problems) that substantially impair the use, value, or safety of the vehicle while under the manufacturers limited new car (or certified pre-owned used vehicle) factory warranties. Examples of substantial defects/problems under our California lemon law would include, but not limited to: engine, turbo-charger, cooling system, steering system, braking system defects/problems, SRS/airbag system, suspension, driveline, rear differential, axle system, alignment (won’t stay in alignment), CHECK ENGINE warning light, SES warning light, SRS warning light, BRAKE warning light, engine stalling, lack of power, smoke from tailpipe, excessive oil consumption, all types of transmission symptoms/drivability, fuel injection, diesel injection, air conditioning, heating system, navigation system, power windows, power door locks, instrument cluster, sunroof operation, electrical problems, I-drive system, clutch problems under warranty, no-start, ABS brakes, traction control, ESP, paint defects from factory, seat belt problems, faulty fuel gauge readout system, power seats, convertible top problems, fuel filler/filling problems, overheating, and engine mis-fire, This is only a partial listing to the myriad of defects (problems) a vehicle may incur with repeated repair attempts under warranty. “Non-substantial” defects would include, but are not limited to: consumer complaints where the vehicle is proven to be operating correctly with no defects in parts or workmanship, but simply a “operating characteristic” of all the vehicles produced of that model. (Unless proven to be a substantial impairment to use or safety with multiple warranty repair attempts). Other non-substantial defects would be minor seat covering wrinkling, poorly fitting trim pieces, small trim pieces (non-operational) falling off and/or defective, minor squeaks and rattles, need for normal scheduled 4-wheel alignments for tire wear, poor fuel economy (unless accompanied by engine running problems and warranty replacement of parts by the authorized dealer), adjustments to doors/hood/trunk, and other minor annoyances. Am I required to go through Arbitration before pursuing a Lemon Law claim? No. The California Lemon Law does not require the consumer to participate in arbitration that may be offered by the vehicle manufacturer in order to pursue a Lemon Law claim. Am I required to notify the vehicle manufacturer and give them a opportunity to repair a problem before pursuing a Lemon Law claim? No. So long as the manufacturer’s authorized warranty repair facility has had a reasonable number of opportunities to repair a warranty problem, the manufacturer need not be given notice or a opportunity to repair the problem. Does the Lemon Law apply to vehicles that are older than one or two years? Yes. As long as the vehicle is having warranty problems, the Lemon Law potentially can apply no matter hold old the vehicle is. The Lemon Law may also apply to a vehicle even if the original new vehicle warranty has expired so long as the vehicle is still having problems complained about on repair orders during the original warranty period. Does the Lemon Law apply to vehicle that have in excess of 18,000 miles, or 18 months? Yes. As long as the vehicle is having warranty problems, the Lemon Law may apply no matter what the odometer reading is on the vehicle. Is a vehicle registered to a business on lease or purchase covered by the Lemon Law? Please click on our web site link “Senate Bill 1718 Passed” for more information on business use/owned/leased vehicles. Is there a specific number of repair attempts that must be completed in order to have a valid Lemon Law claim? No. There must be a reasonable number of repair attempts. The definition of what constitutes a reasonable number of repair attempts will vary given the vehicles particular problem(s). In general, if a problem has been subject to at least four separate repair attempts at the manufacturers authorized repair facility, or has spent more than 30 days cumulative in the shop, this is sufficient to establish a reasonable number. Are there situations where only 2 repair attempts are considered reasonable? Please click on our web site link “Senate Bill 1718 passed” for more information. Does the Lemon Law apply only to passenger cars? No. The Lemon Law applies not only to passenger cars, but also to trucks, SUV’s, vans, motorcycles, and all consumer goods that are covered by a manufacturers warranty and are used primarily for personal, family or household use. Does the Lemon Law apply to vehicles that are purchased used? Yes. The Lemon Law can apply to a used vehicle. The vehicle must be covered by a warranty. Does the Lemon Law apply to minor defects, or only significant defects? The Song-Beverly Act applies to defects which constitute a substantial impairment to the use, value or safety of the vehicle to the owner or lessee. Therefore, inconveniences (static or poor reception in the radio, for example) normally do not make a Lemon Law claim. Serious problems with brakes, transmission, engine function, SRS/airbag, inoperable air conditioning, persistent water leaking, engine oil or transmission oil leaks, overheating, “CHECK ENGINE”, to cite a few, are examples of Lemon Law impairment to use, value, or safety of the vehicle. There are other federal laws that further expand on what is considered to be a “defect” that constitutes replacement of purchase price or a refund of monies spent. 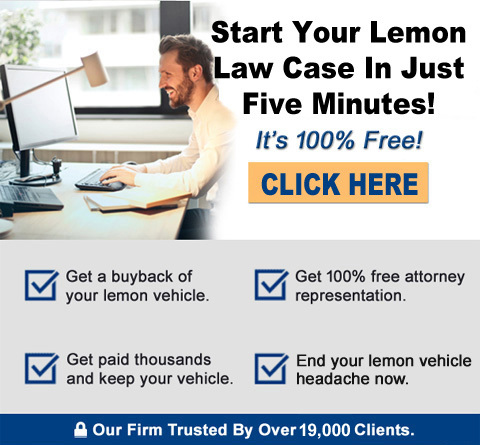 Why haven’t I heard more about the California Lemon Law? Though not drenched in media attention, the California Lemon Law is one of the most attractive, “consumer friendly” consumer protection laws in the nation. It is for this reason that you should take advantage of it. The Law Offices of William R. McGee can defend your rights and bring a swift and fair resolution to your lemon ownership experience. What am I entitled to under the California Lemon Law? In any Lemon Law action, the manufacturer is entitled to an offset for mileage based on the odometer reading at the first time you had your vehicle repaired for a recurring problem. There is a specific formula for calculating this offset, which your Lemon Law attorney will discuss with you. If you financed or leased your vehicle, you are entitled to get back your down payment (or lease inception fee), government fees, trade-in equity, license fees and all the monthly payments you have made up to the date of settlement. You may also be entitled to towing reimbursement, as well as rental car expenses you personally paid during your warranty repair visits. The manufacturer pays off the existing loan (or lease), you turn the vehicle back in to the car dealership, and you get your Lemon Law refund check. This is known as a vehicle repurchase. In certain circumstances you may also elect to take a replacement vehicle in lieu of a repurchase. This is known as an exchange of collateral. Your loan remains the same, and you simply “swap” your present vehicle for a new one with the same equipment. Leased vehicles are treated in the same way. How long can this process take? As you can see, after you retain our firm it can be a very quick process. And we keep you updated on your cases progress. You no longer need to be involved with car dealers or auto manufacturers and suffer the frustration and anxiety of dealing with these problems.We can usually reach a settlement with the manufacturer within 30-90 days by retaining our firm. A very large number of cases are settled in as little as 30 days! You will not damage or compromise your credit by taking advantage of the Lemon Law. “I purchased a used vehicle from a car dealership, and it was sold “AS-IS”, but I purchased an ‘extended warranty’, can I qualify for California Lemon Law protection?” Answer: no. Firstly, on the “AS-IS” point, if there is no warranty being provided, it automatically means no lemon law claim or case as there is no warranty in place. On the second point of “extended warranty”, in California there is no such thing as an “extended warranty” being sold to a consumer. A “warranty” is described as something you are given as part of the sale transaction – you don’t’ pay for it. The moment you purchase what you are being represented as an “extended warranty”, you are actually purchasing a ‘Service Contract’ or ‘Mechanical Breakdown” policy, both of which are simply insurance policies against unexpected breakdowns. These policies are not – repeat not – applicable to California lemon law. That being said, there is one German manufacturer that if you do purchased one of their Certified Pre-Owned Cars, you can buy their factory extended warranty protection, and this is a warranty, as the word “warranty” appears on the application form. This is not the norm, but rather the exception. California lemon law deals with the manufacturer’s limited new vehicle warranties, or “CPO” (Certified Pre-Owned”) warranties on used vehicles. “I want to know if the California lemon law applies to me – my vehicle is out of warranty” Our California lemon law can afford warranty protection past the factory new car limited warranty period if the consumer continues to bring the car back into the dealership for warranty repairs in a continuous manner for the unresolved repeating issue. In California, our lemon law is looking for repetition in bringing the car back for repair, establishing how serious the problems are for your lemon law case and claim. The California lemon law can also apply for a vehicle that sustained numerous repeated defect warranty repair visits during warranty, but is currently a out-of-warranty vehicle wherein that defect has been cured. These California lemon law cases are argued within the premise that the automobile manufacturer had a duty to repurchase, but failed to do so by their review of the warranty repair history of the vehicle. Call us for more details on out-of-warranty lemon law claims and cases.